This is an update to our Guide to Instagram Stories. To see the full guide, click here. Curious what our brands hope to use Highlights for? Click here. Instagram Stories new Highlights feature was one of the biggest IG updates of 2017, and the recently launched Type Mode update is another release our team can't stop talking about. With Highlights, you have the ability to curate and pin permanent collections of Instagram Stories viewable directly on your Instagram. With the newest release, Type Mode, you are able to share your thoughts and words in a variety of different colors and font styles- with or without a picture! These are two huge updates for photographers on Instagram, as you now have the ability to curate your stories into Highlights collections for increased view time by potential clients and collaborators, as well as create engaging text stories to compliment your images. At Shutterstock Custom, we deploy assignments for our global brands to create content for Instagram Stories, so using these two new features together is a perfect way to highlight what you can create on Instagram as content creators and photographers. Through Instagram Stories Highlights, you will now have a longer period of time to captivate a potential clients attention through your content on Instagram, with the ability to save them permanently. Previously, your followers only had the ability to view an IG Story within 24 hours before it disappeared so this new feature is a fantastic way to have your content accessible for longer via your Instagram profile. Game changer! Through Type Mode, you can customize the type you put on your stories including the background colors, type styles, and colors to attract and engage your audience and potential clients. The brands that work with us are looking to our network of photographers and videographers to create impactful Instagram Stories. 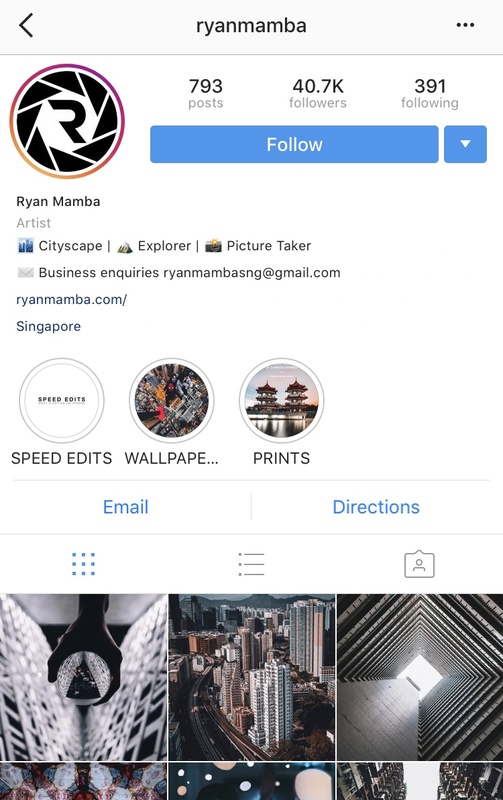 By being able to save and store your Stories, you can create a portfolio of your work to show what you can create for clients on Instagram Stories. And by using the Instagram Stories Type Mode feature, you can talk about your images and work with flair. How do Instagram Stories Highlights work? Instagram Stories Highlights are pinned to your Instagram page from your Story, and show up in a separate menu line underneath your biography. You can save Stories via the Archive feature, released in partnership with the Highlights feature. 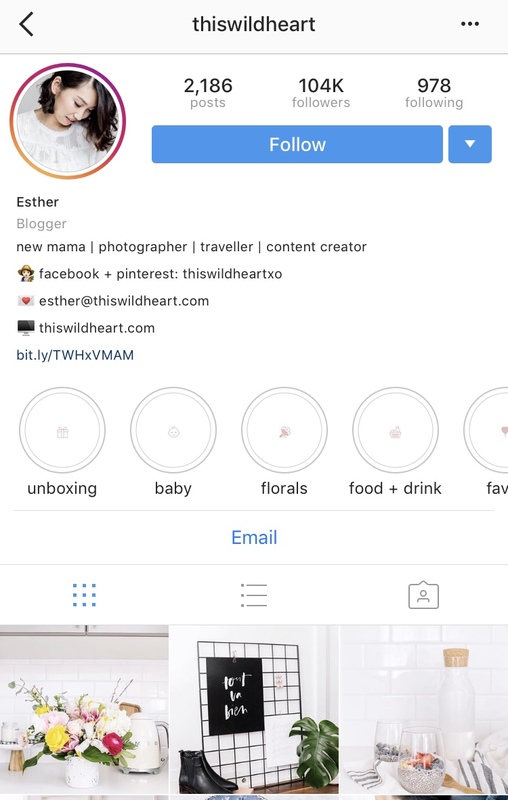 To add an Instagram Story to a Highlights Collection from your Archive, go to your profile and you should see a circle for your Stories Highlights that says “New.” Tap on it, and you will be taken to your Archived stories. When you are in your archive, you can select the stories you would like to add to your Highlights collection. Once you’ve chosen your stories, select “Next” and give your collection a name. Once you’ve named your Highlights group, tap “Edit Cover.” You can then select an image that represents the Stories Highlights collection. Tap “Done” and you’re ready to go. 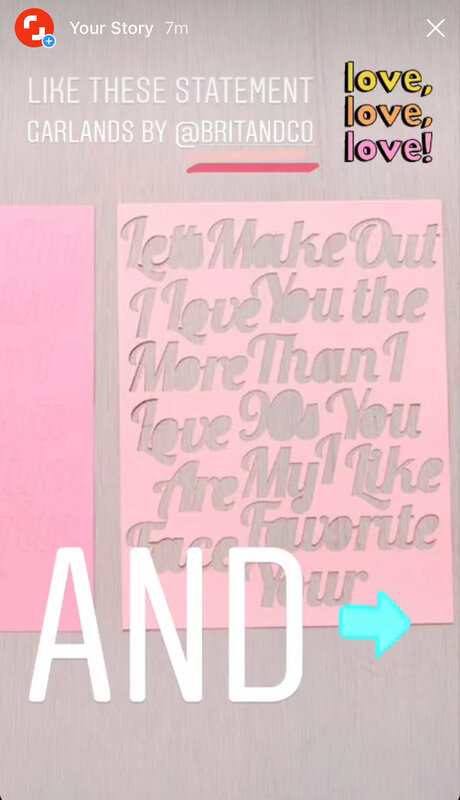 How does Instagram Stories Type Mode work? To access the new Instagram Stories Type Mode feature, simply open Stories, and where you can select between Live, Boomerang, and Superzoom, swipe over to “Type”. Once you are there, tap anywhere on your screen to start typing your message. Then, you can play around with the new font types by tapping the button at the top middle to change your selection. You will even be able to customize the background color by tapping the circle in the bottom left corner of the screen, and the highlight color, via the “A” in the top left corner. Adding a background photograph from your collection of work is easy by tapping the camera icon located at the bottom right corner. Once you’ve customized your text and background, tap the > button to add any stickers and doodles before adding it to your story! Easy! How can you use these new Instagram Stories updates as photographers? As photographers, your work on Instagram showcases to potential clients what you have the ability to create as content creators. Creating content that showcases a variety of your skillsets needs to be part of your Instagram Stories strategy if your goal is to get more photography clients. 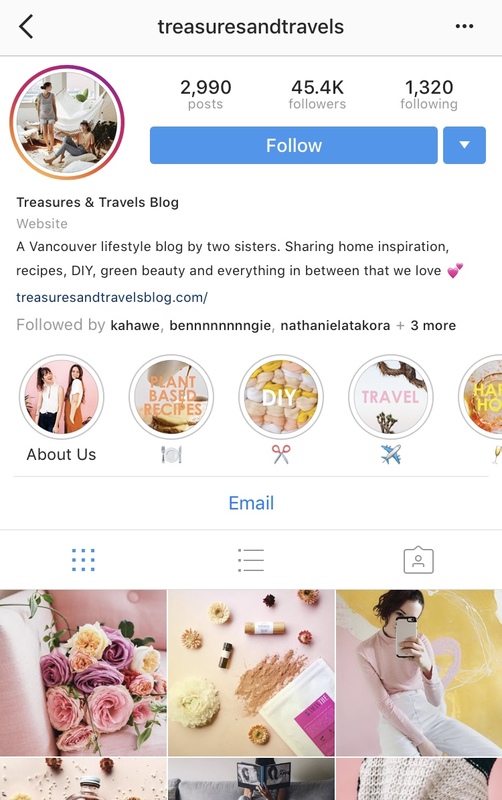 We’ve highlighted 5 ways that you can use the Instagram Stories Highlights and Type Mode features to attract clients to your Instagram. If you’re a lifestyle photographer who shoots a wide variety of photographs, create an Instagram Stories Highlights collection around each type of work you produce. For example, create a category for “Food & Drink, People, Landscapes” for clients to get a quick view into the type of content you create. 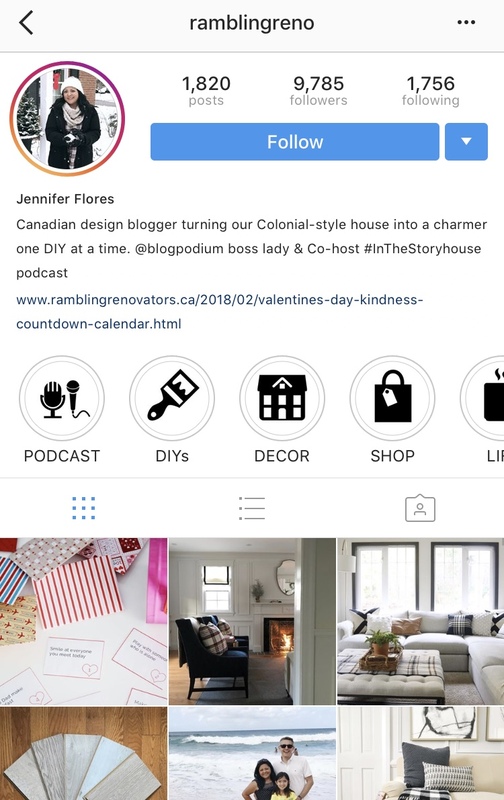 Jennifer Flores of Rambling Renovators, a stunning design blog, created little icons for the cover story of her stories as seen below. This is a fantastic way to introduce your personal brand into your Highlights collections. Not everyone turns on video, and sometimes- you only have a glimpse of time to capture your audience's attention. Use the new Type Mode tool to bring a unique call-to-action to your work. Whether you’re showcasing a brand you are photographing, or putting the location on a place you are photographing- this is a great tool to show how innovative you can be on your Instagram Stories. Check out Shutterstock Custom's Instagram for more inspiration like this! As photographers, the audience you attract on Instagram is constantly looking to you for work to be inspired by. Show a bit of your brand personality by creating fun how to's or tutorial videos relating to your photography work, positioning you as an expert in the field. For example, if you are a food photographer- show how you style a table setting. If you are a lifestyle photographer, give tips on how you make models comfortable on shoot. If you are a photographer who travels to a lot of interesting locations, showcase that experience to your audience through your collections. Creating a location-based Instagram Stories Highlights collection is a great way to show brands how international your work can be, and the types of campaigns you work on. From snippets being on location, to a final set of photographs you produce, this is a great way to give a brand insight into the type of work you are creating. If you are working on a personal project, such as a 365 Photography Project, consider adding these into a weekly, daily or monthly themed content Stories Highlights. Describe what the project is using Type Mode- and continually add to this category weekly. This shows client's commitment to creating content consistently, and gives your audience a place to check back at your work more often. Creating impactful and engaging Instagram Stories is more important than ever, especially now that you can save them permanently to your Instagram Stories Highlights collections and use Type Mode to share a message with your audience and potential clients. For more tips on how you can create a social media strategy, check out this interview with Shutterstock Custom contributor Mollie Rose. Our brands are looking to the contributors on our network on how to create more engaging Instagram Stories content, so it’s time to show them what you’ve got!